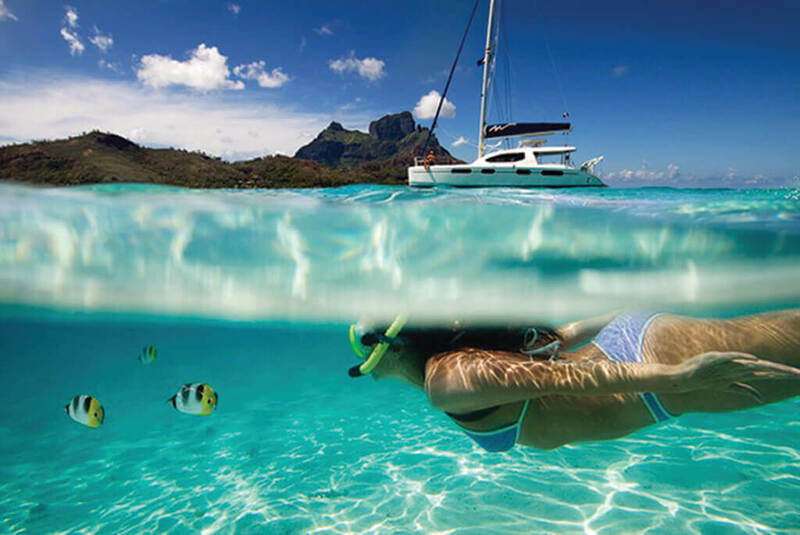 Snorkel or scuba dive at Beqa Lagoon-one of the world’s premier dive sites! Sea kayaking, hiking, sun-bathing, and island hopping! 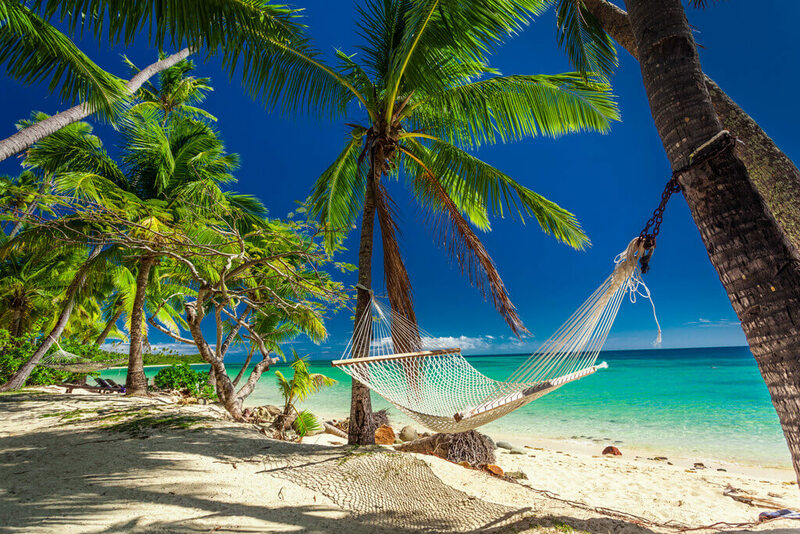 This exciting Wilderness and Travel Medicine course takes place in the secluded Fiji Island Paradise of Beqa (pronounced "Benga"). 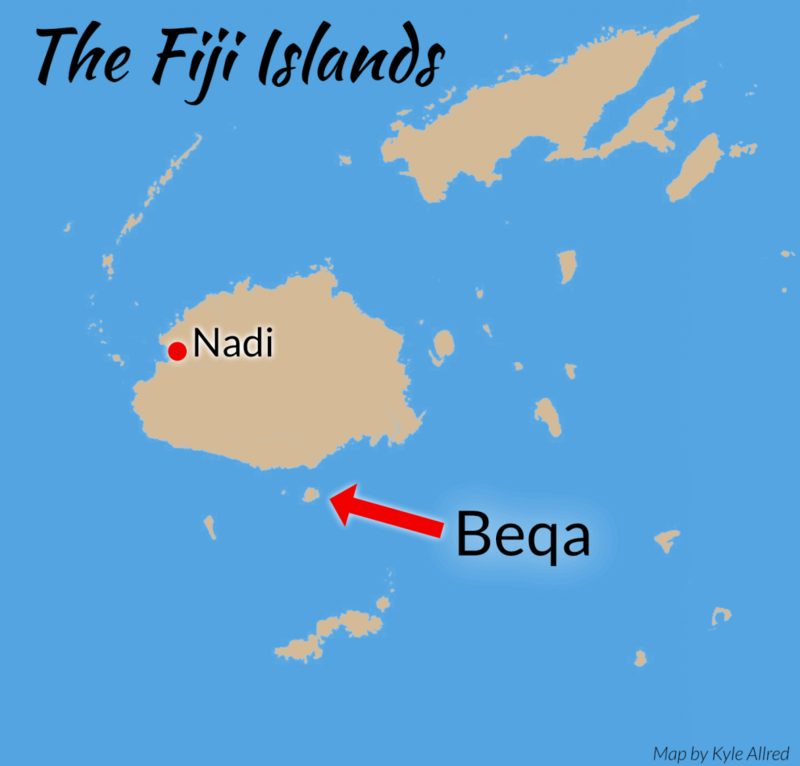 Surrounded by one of the world's largest and most spectacular barrier reefs, Beqa is rich and untouched. Beqa lagoon is actually an extinct volcano crater, and the 40-mile ring reef has formed on the lip of the old crater. 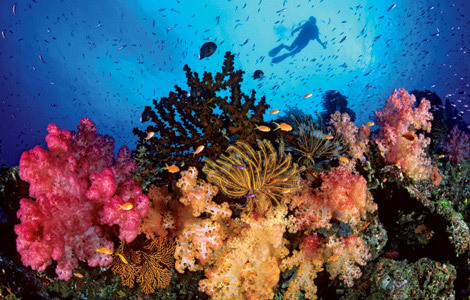 It is home to one of the greatest displays of soft corals and sea fans in the world. 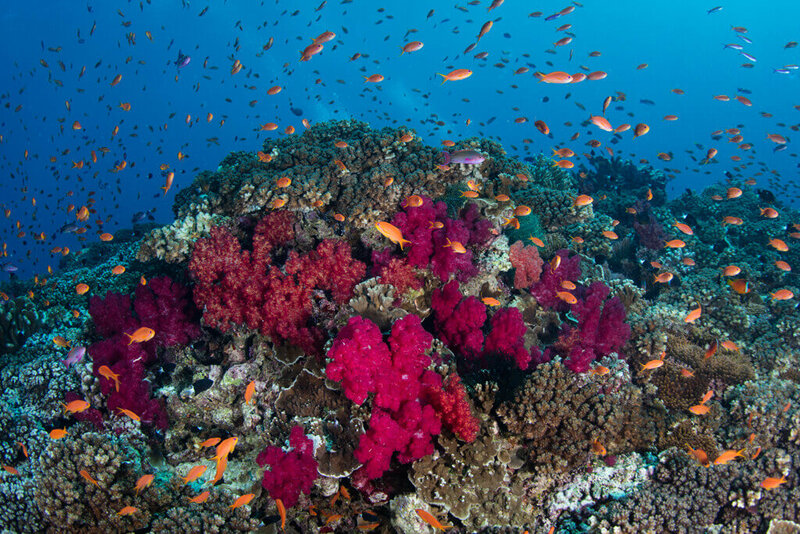 Fiji is often called the "Soft Coral Capital of the World". Diving these calm protected waters is like exploring another world. The water is clear and warm, visibility is often over 100 feet, currents are generally mild, and the water temperature stays near a fairly constant 80 degrees. 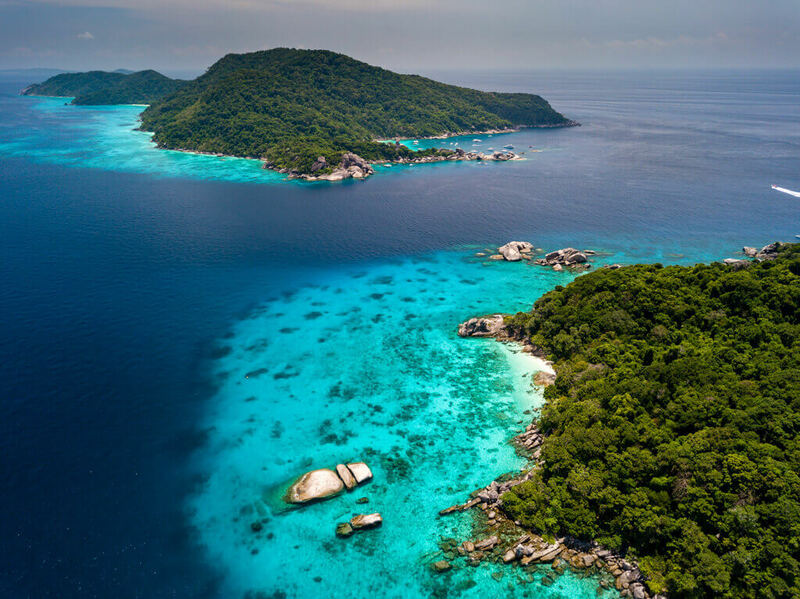 The excellent dive staff at Beqa Lagoon Resort will help you discover the incredible marine life that abounds in these waters - fantastic coral and invertebrates, Blue Ribbon Eels, Clown Triggers, Lion Fish, Leaf Scorpions, Reef Sharks and millions of colorful Anthias and Fusiliers. Behind the Beqa Lagoon resort the land slopes gently upward into a tropical forest. Nearby are beautiful fresh-water streams and waterfalls. Tropical flowers bloom everywhere, and the tables at the resort are always filled with fresh cuttings. World-class surfing nearby! "Voted one of the best two waves in Fiji." Powerful and fast (with prevailing offshore winds), Frigate Passage (also known as the Fiji "Pipeline") is located on the southwestern barrier reef of the island of Beqa, just a short distance from Beqa Lagoon Resort. Frigate Passage offers the ideal conditions that naturally generate world-class waves. 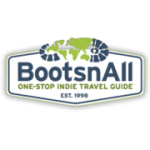 The itinerary below is a sample non-scuba itinerary. 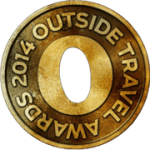 Times are general estimates and vary depending on local weather, daily trail conditions, and festival schedules. Internal flights are also subject to change. This can easily be modified or changed on an "a la carte" basis---depending on what your interests are. DAY 4 Take a guided cultural walk to a nearby Fijian village...The Fijians are some of the friendliest people anywhere! DAY 7 Take a guided bird / wildlife walk to a beautiful nearby waterfall. Enjoy an evening show of the famous native Fijian "firewalkers"! DAY 8 Transfer to the airport for your return flight and morning activities as your schedule allows! 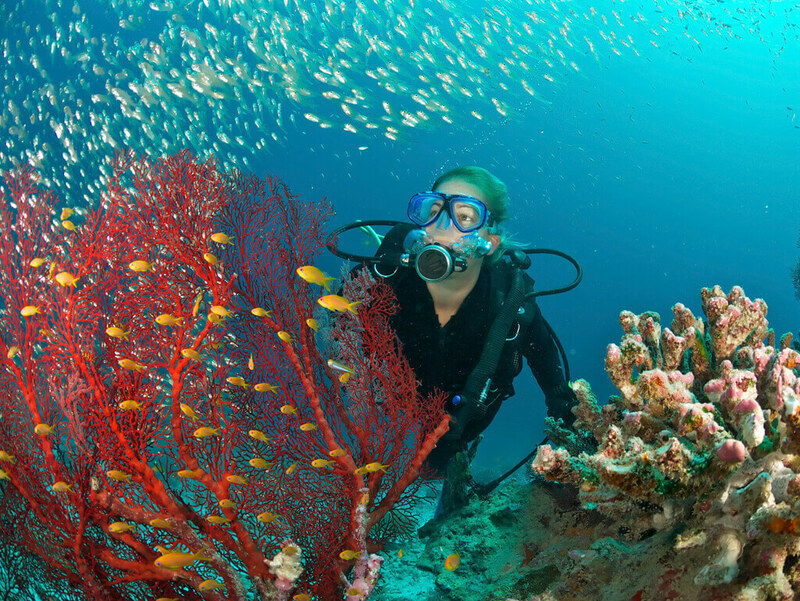 Scuba Dive pristine reefs to discover rich marine life and beautiful coral gardens. Enjoy fun-filled days snorkeling, swimming or kayaking the warm waters of the blue lagoon. 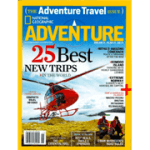 Hike to beautiful waterfalls, or spend an exciting afternoon deep sea fishing. Surf the world - class "Fijian Pipeline" at Frigate Pass. Water skiing is available. Beqa is also a bird watching haven with the largest varieties of birds in Fiji. You can end the day relaxing in a hammock overlooking the sea or by lounging in the infinity pool. Snorkeling - One of Beqa's unique features is that beautiful coral reefs thrive just a few feet from the resort beach. Even if you do not scuba dive, snorkeling can offer a wonderful array of marine life, such as clown fish, lion fish, lobsters, live corals and amazing marine life...right in front of the resort! 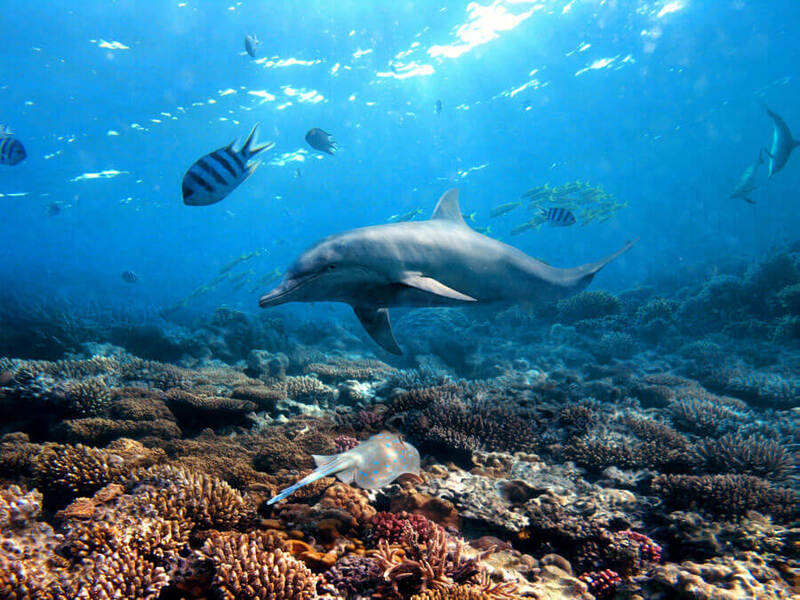 Snorkeling excursions can also easily be arranged to other nearby islands. World-class Surfing at nearby , world-famous Frigate Passage! Voted one of the best two waves in Fiji! Sea kayaking - Single or double kayaks are available to explore the neighboring islands and beautiful beaches of Beqa Island. Glide over beautiful coral gardens and enjoy the beauty of nearby pristine bays and beaches. Deep sea fishing charters with outstanding angling are also available. Beqa Lagoon Resort SPA - Fantastic staff with wonderful massage and spa treatments! Volleyball, horseshoes and croquet are available on site. Other Activities include island hopping to nearby islands, hiking and cultural visits to the local villages. Scuba diving can be extremely hazardous or even fatal. 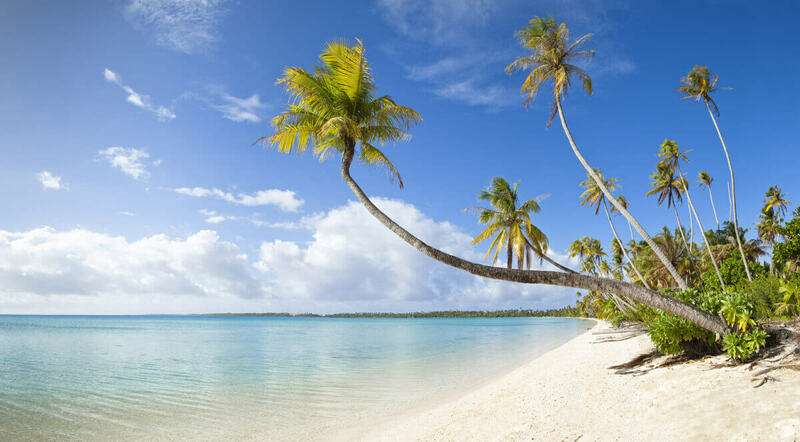 It is very important for you to independently and carefully choose a SCUBA dive outfitter in the Beqa Lagoon / Pacific Harbor region of Fiji to help you, guide you, and outfit you for all of your Scuba and ocean activities. Wilderness and Travel Medicine, LLC does not endorse any Scuba guides or Scuba outfitters in the Beqa Lagoon area. The participant is completely responsible for independently choosing their own guides or outfitters for any, and all Scuba or other ocean activities if they choose to participate in these activities. For convenience, a list of potential Scuba outfitters is typically included in the trip information materials provided to participants from Bio Bio Expeditions. 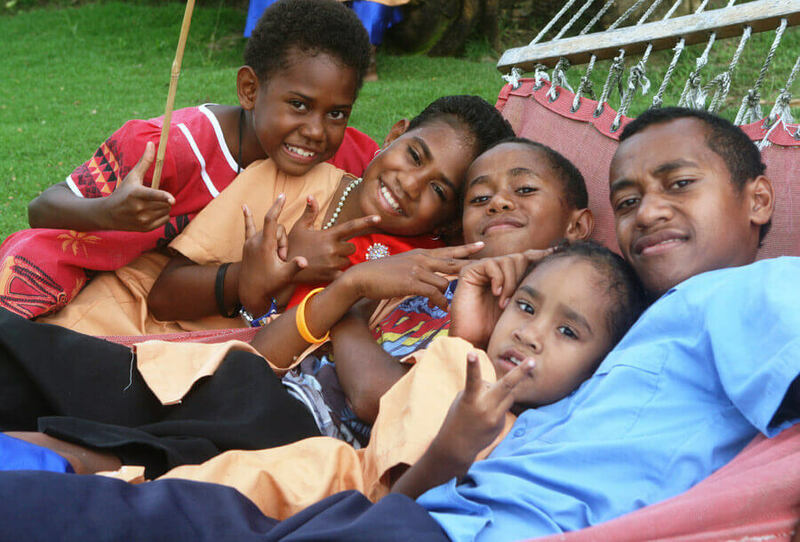 Fijians are well-known for their warmth and friendliness. Beqa Island is rich in culture and history. Many of the villagers work in the resort and no stay is complete without a visit to one of their villages. Locals also provide cultural and musical entertainment in the evenings! Our Wilderness and Travel Medicine lectures will take place each late afternoon and evening. *per person, based on double occupancy. Unlimited shore diving, use of kayaks. Questions? Ready to reserve your spot? "Beqa Lagoon Resort is the most beautiful resort I have ever been to....Friendly staff...Fantastic diving" ... "Very educational, useful, and interesting CME"
"Beqa Lagoon Resort has the most gracious service I have ever experienced...genuine warmth of entire staff...great food, overly generous portions... Dr. Allred gave smooth and polished presentations with impressive wilderness experience to back it up." 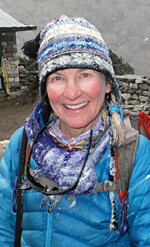 Sheryl Olson, RN, BSN: Outdoor Survival and Navigation Instructor, Flight Nurse, Wilderness Safety Instructor, Cruise Ship Nurse, Colorado Springs, Colorado. 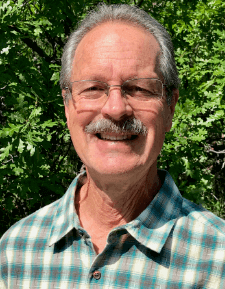 Larry Moore, MD: Board Certified Emergency Medicine physician. Physician advisor/educator for the ambulance services in Teller County Colorado. Spent 4 years as a shipboard doctor for Norwegian Cruise Lines. "This activity has been planned and implemented in accordance with the Essential Areas and policies of the Accreditation Council for Continuing Medical Education through the joint providership of the Center for Emergency Medical Education and Wilderness and Travel Medicine. The Center for Emergency Medical Education is accredited by the ACCME to provide continuing medical education for physicians." 15 AMA PRA Category 1 CreditsTM. 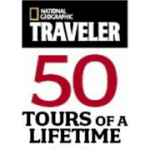 This trip is planned, outfitted and conducted by Bio Bio Expeditions, or subcontractors arranged by Bio Bio Expeditions. Please note that Wilderness and Travel Medicine, LLC is responsible for the CME Educational content only. Wilderness and Travel Medicine reserves the right to change or substitute the faculty for any CME course without advance or prior notice to participants. Email updates about exciting new CME locations, dates, conference, & specials. You’re free to opt out at any time.